To finish our Superfood Cooking Challenge, we saved quite the treat for you. Have you heard of the grain Freekeh? Other than having a fun name, we decided to use this delicious ancient grain because of it’s delightful nutty flavor in a broccoli and cheese casserole. 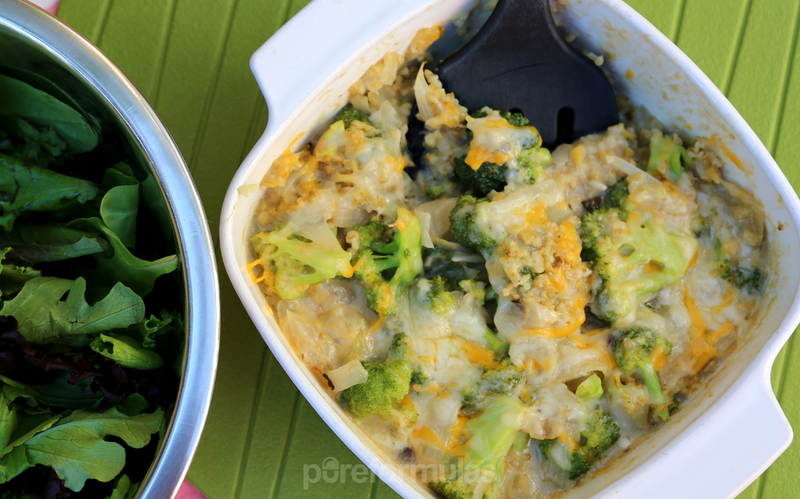 The broccoli makes this dish simple and colorful but you can add whatever veggie combination you enjoy. Spinach, cabbage, tomatoes, squash, eggplant, the possibilities are endless. The only thing that would change is the cooking time of each veggie. And now that you are quite the little chef after mastering the previous recipes, it’s your turn to start your own cooking adventures! Bring 2 cups of water to boil and add 3/4 cup of freekeh. Bring heat down to medium-low and cover pot with lid letting the grain simmer for about 20 minutes or until water is absorbed. Remove from stove and set aside. Sautee onions in coconut oil. Add chopped broccoli and cook until it turns brighter green (a couple of minutes). Add salt, pepper, mushroom gravy,milk, and cheese and stir well. 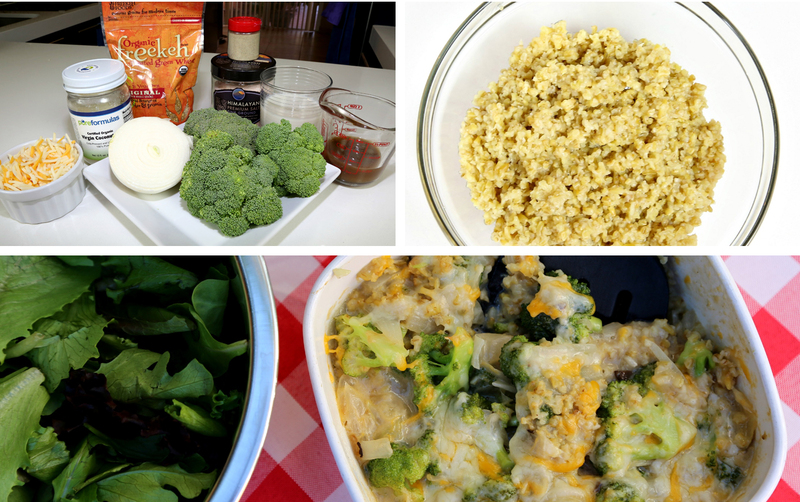 When all ingredients are combined, remove from stove and combine with cooked Freekeh. 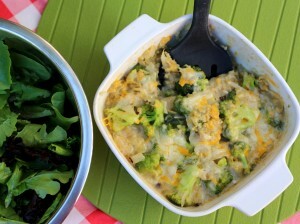 Transfer the mix into a casserole baking dish and top with a little bit more of cheese. Thank you for joining us in our cooking journey and be sure to check back in PureFormulas’ Healthy Happening for recipes, nutrition info, and many other fun activities and challenges!